Matthews Wall Anchor has worked hard over the years to garner a reputation for hard work, outstanding customer service, and world-class results for our Middletown, DE clients. Our engineers and contractors have the experience and skills that are needed for the special details of commercial and industrial projects. 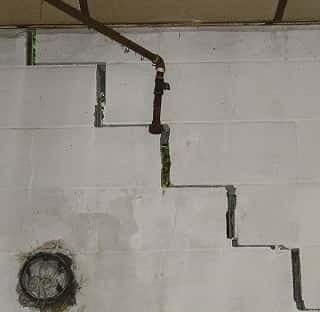 We will work with you to find the cause of any settlement and foundation failure that may be happening with your commercial property In Middletown. Through the use of underpinning, piling, and shoring solutions, we will restore your structure’s stability. Some factors that can weaken your foundation include plumbing leaks, droughts or extensive rainfall, expansive clay soils, and other factors, both natural and man-made. Matthews Wall Anchor offers commercial services to handle traffic control for commercial businesses in the Middletown, DE area. We also provide snow removal, road prepping, traffic assistance, and gas well industry traffic control services. Contact Matthews Wall Anchor in Middletown so we can provide the best structural solution for your needs. We are dedicated to providing the best in workmanship and customer service. Call us for a free quote.